Are you scouring the web for an exceptional covering for your patio furniture but find yourself unsatisfied with the look of standard Umbrellas? The 9' Wind Resistance Market Umbrella from Leisure Select showcases a remarkable look with a unique, bulbous profile that's designed to resist the heaviest winds. 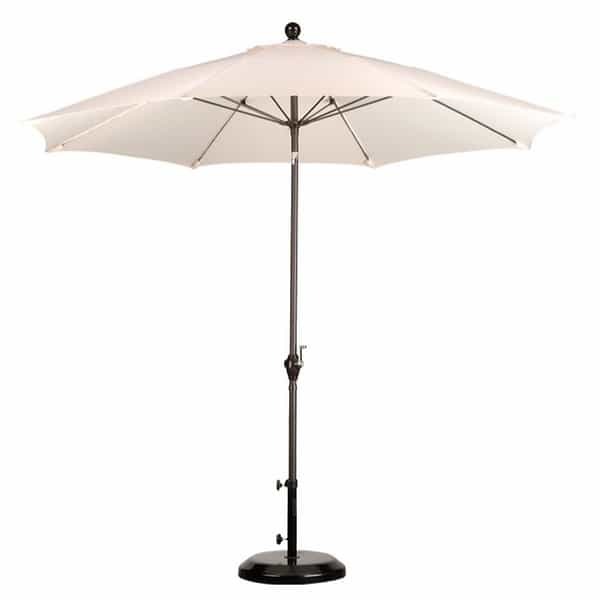 Imagine an easy to open crank umbrella over your set of patio furniture on the deck or porch; your guests and neighbors will love the enhanced look and increased shade in your outdoor space. Plus the fabric covering/canopy is completely customizable, with available fabric options in the drop down menus on the right hand side of this page.